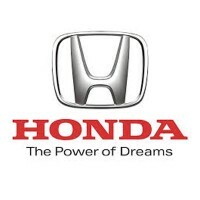 Honda is the 29th largest corporation in the world by revenue. It is a Japanese multinational conglomerate that is largely known for making automobiles, motorcycles, aircraft, and has even expanded onto robotics research and development. Established on October 1946 by founders Soichiro and Takeo Fujisawa, the company was the first ever automobile manufacturer that was able to launch the first dedicated luxury car Acura in 1986. The car manufacturing giant employs over 208,399 workers worldwide across 144 countries and 7 regions. The company’s vehicles and other products have earned a reputation for safety, affordability, and reliability. It received safety awards for all car models. The company is known for providing top-of-the-line reward package that aims to enhance the life of its employees and their families. It offers competitive salaries for associates, health plans, insurance, 401(k) savings, bonus sharing, paid leaves, and holiday pay. Honda’s office culture is built on the foundations of diversity and non-discrimination. It also allows individual employees to gain professional and personal growth throughout their tenure with the company. Working with the company requires a minimum age of 18 years old in order to qualify for all positions. Eligibility requirements differ depending on the job description and the branch location. Maintenance Technician – Maintenance Technicians are expected to be able to respond efficiently to emergency downtime problems. They are in charge of troubleshooting root causes of automobile issues and repair them as the need arises. They must be updated with the latest technology in equipment maintenance. Carline Analyst – Carline Analysts are responsible for job function and forecast of vehicle orders. They are expected to be able to analyze and monitor vehicular performance in all areas of car production –design, production, sales, demand trends – from which they make recommendations as needed. Electrical Engineer – The primary duty of Electrical Engineers is to plan the manufacturing, installation and operation of electrical apparatus and equipment needed to support production. Electrical engineers work closely with other engineers as well as with the design and production teams to augment overall production capacity. Production Scheduler – Production Schedulers coordinate production planning tasks for assembly lines, paint, and welding work centers. They are primarily responsible for maintaining production requirements towards ensuring that production schedules are met according to schedule. The position requires liaising with various departments to ensure that job orders are done on time. Robotics Technician/Programmer – Robotics Technician/Programmers will work under the company’s robotics research and development program. They are responsible for designing and developing robotics component plans. Technicians will deal with data extraction, algorithms development, and innovative methods of navigation and path planning. Material Planner – The primary responsibility of Material Planners is to manage the availability of assigned materials and/or commodities in order to assist the supply chain team in achieving the timely delivery of materials to the warehouse and/or stockroom. Material Planners are in charge of monitoring technical supplies with the intention of keeping the production line operational. Technical Specialist – Sr. Technical Specialists are tasked with supervising the production of Powersports, Power Equipment, and Marine products in compliance with government regulations and safety standards. Sr. Technical Specialists are also in charge of designing and developing new blueprints for the company’s products including but not limited to power engines, equipment, and marine automotive tools. Mechanical/Electrical Process Engineer – Mechanical/Electrical Process Engineers are responsible for assisting with gear manufacturing and sub-assembly processes. They are responsible for evaluating electrical applications, components and concerns related to manufacturing products. They are also tasked to implement measures in maintaining equipment performance. Dynamic Performance Engineer – Dynamic Performance Engineers are responsible for developing target settings for vehicle projects. The position will also be involved in conducting full thermal performance tests for vehicles and reports as needed to pertinent departments. They will also work on experimental projects that integrate the company’s next generation powertrains into future passenger cars and light truck products. Administrative Assistant – The duty of the Sr. Administrative Assistant is to execute all administrative duties in support of company goals and objectives. The position works closely with personnel from various departments to perform clerical, receptionist and project-based tasks as needed. The Sr. Administrative Assistant is expected to coordinate the correspondence of paperwork from both internal and external sources. The application procedure is quite straightforward. To begin with the process, you have to look for available job positions based on your location and eligibility criteria. While on-site applications are generally preferred, applying online is also encouraged. You can visit the company’s career page to find available positions and submit your application via email or thru the application portal. The online application form will ask about your personal details, employment record and educational background as well as professional references preferably from your previous jobs. Upload a Word or PDF file of your resume onto the application portal or send it thru email. Make it a point to highlight relevant employment experience and educational background. Interviews typically last for 30-40 minutes and focus on your capacity to work in a challenging work environment as well as reasons why you want to work with the company. Waigaya – The multinational automobile giant owes its success to a unique corporate culture called ‘Waigaya’. The Waigaya culture refers to encouraging spontaneous meetings with rank and file employees to get insights from all the layers of the corporate structure. ASIMO –In 2005, the first humanoid robot able to navigate a staircase was launched by the company. ASIMO marked a milestone in robotics technology by heralding the creation of robots that could walk and navigate their steps independently. From Toyota to Honda – Little do people know that founder Soichiro was actually a former supplier and repair mechanic of Toyota. After a series of failures with Toyota, he constructed his first motor bicycle and sold it to the public. Bluer Skies for Our Children – This initiative is part of Honda’s various programs related to environmental sustainability and conservation. The concept revolves around the idea of reducing CO2 emissions from the company’s manufacturing plants and engine output. 1 How old do you have to be to work at Honda?